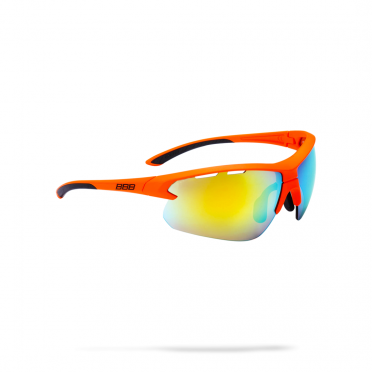 If weather conditions change quickly, you need these BBB Sports glasses Select XL MLC glossy orange with easy-to-change lenses. 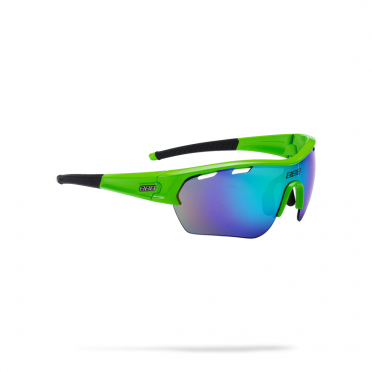 With BBB's Select XL sport glasses you will be prepared for every ride with all sorts of lenses. BBB has equipped the extra large polycarbonate lens with a hydrophobic coating, so rain and water just slides of the lens while riding. An anti-fog coating and a special air flow system ensure better performance in humid weather conditions. 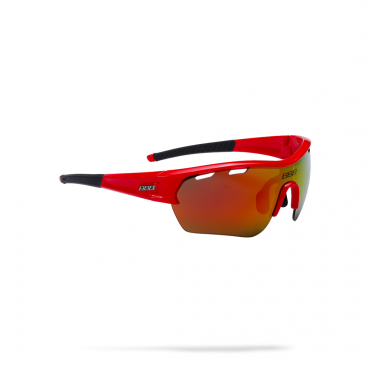 If weather conditions change quickly, you need these BBB Sports glasses Select XL MLC glossy red with easy-to-change lenses. 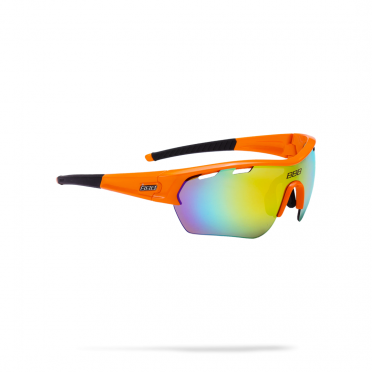 With BBB's Select XL sport glasses you will be prepared for every ride with all sorts of lenses. BBB has equipped the extra large polycarbonate lens with a hydrophobic coating, so rain and water just slides of the lens while riding. An anti-fog coating and a special air flow system ensure better performance in humid weather conditions. If weather conditions change quickly, you need these BBB Sports glasses Select XL matt black with easy-to-change lenses. With BBB's Select XL sport glasses you will be prepared for every ride with all sorts of lenses. BBB has equipped the extra large polycarbonate lens with a hydrophobic coating, so rain and water just slides of the lens while riding. An anti-fog coating and a special air flow system ensure better performance in humid weather conditions. 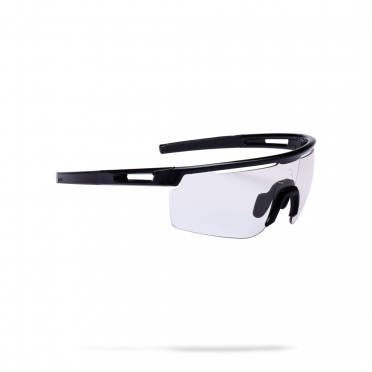 The BBB Sports glasses Impulse small PH glossy black automatically adapts to changing light conditions. They turn dark when it’s bright and become virtually clear in low light conditions. BBB's Impulse sport glasses include a QuickSnap system, you will be prepared for every ride with all sorts of lenses. The interchangeable polycarbonate lenses with special air flow system give protection against sunlight, dust and wind. 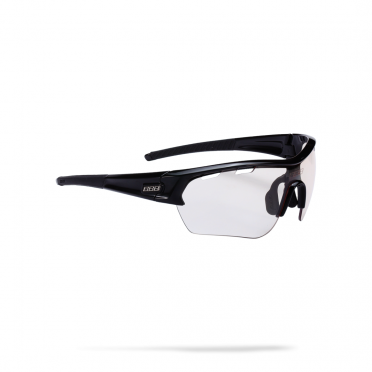 The BBB Sports glasses Impulse small mat black is a smaller version of the Impulse sports glasses specially made for smaller head sizes. If weather conditions change quickly, you need these Impulse glasses with easy-to-change lenses. 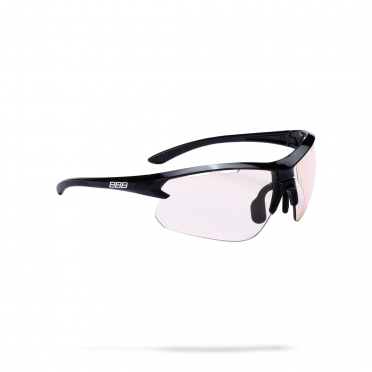 BBB's Impulse sport glasses include a QuickSnap system, you will be prepared for every ride with all sorts of lenses. 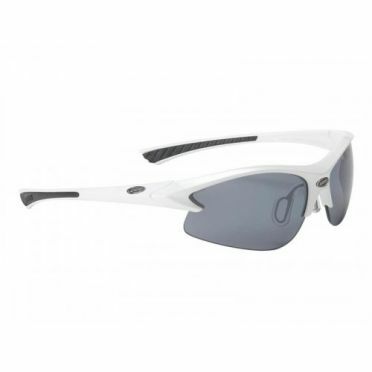 The interchangeable polycarbonate lenses with special air flow system give protection against sunlight, dust and wind. 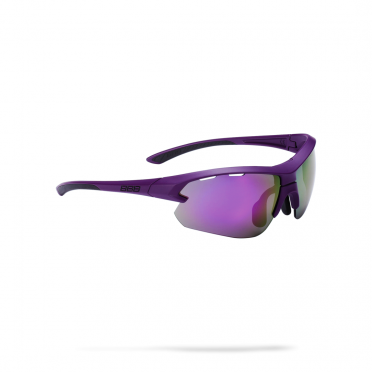 The BBB Sports glasses Impulse small MLC matt purple is a smaller version of the Impulse sports glasses specially made for smaller head sizes. If weather conditions change quickly, you need these Impulse glasses with easy-to-change lenses. 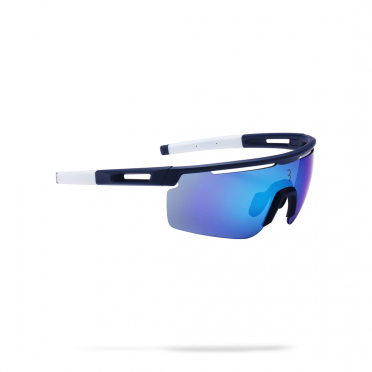 BBB's Impulse sport glasses include a QuickSnap system, you will be prepared for every ride with all sorts of lenses. 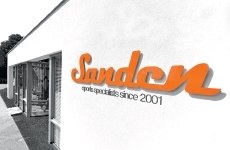 The interchangeable polycarbonate lenses with special air flow system give protection against sunlight, dust and wind. 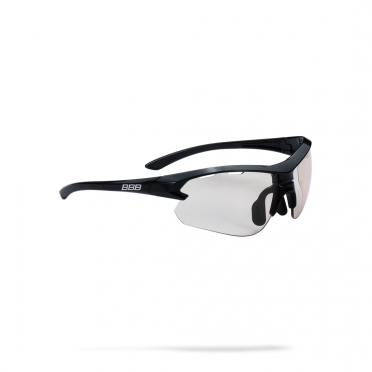 The BBB Sports glasses Impulse PH glossy black automatically adapts to changing light conditions. They turn dark when it’s bright and become virtually clear in low light conditions. BBB's Impulse sport glasses include a QuickSnap system, you will be prepared for every ride with all sorts of lenses. The interchangeable polycarbonate lenses with special air flow system give protection against sunlight, dust and wind. 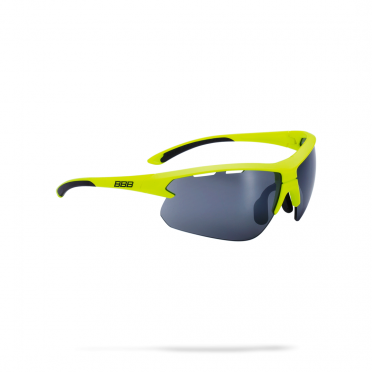 If weather conditions change quickly, you need these BBB Sports glasses Impulse matt yellow with easy-to-change lenses. BBB's Impulse sport glasses include a QuickSnap system, you will be prepared for every ride with all sorts of lenses. The interchangeable polycarbonate lenses with special air flow system give protection against sunlight, dust and wind. The Grilamid frame holds the lens whilst being tough and lightweight at the same time. If weather conditions change quickly, you need these BBB Sports glasses Impulse matt blue with easy-to-change lenses. BBB's Impulse sport glasses include a QuickSnap system, you will be prepared for every ride with all sorts of lenses. The interchangeable polycarbonate lenses with special air flow system give protection against sunlight, dust and wind. The Grilamid frame holds the lens whilst being tough and lightweight at the same time.